allocated the attendees into the wider church Bible study network. None of these options proved effective. Many people are still far too early on in their spiritual journey to feel bold enough to meet one-to-one. A hopeful invitation to attend church on Sunday is rarely taken up. The third option is the most common—but fraught with danger. Thrusting a non-Christian or brand-new believer with almost zero Bible knowledge into a study group can be detrimental to both the group and the individual. A good leader will slow down the content to make it understandable to all, which may negatively affect the existing attendees. Even worse is if the leader makes no changes and the new person becomes lost and intimidated by the depth of the study and doesn’t return. Regardless of the response of the guests at the end of the evangelistic course, having a follow-up pathway structure is essential. We must recognize that there is no one type of guest at these courses, and reactions and responses will vary. Some people will be converted within the course—praise God! Some people will be close to conversion, but aren’t there yet (in my experience, this is the majority of people). Others will be interested, but still a fair way off grasping the truth of the gospel. It is important to thoughtfully care for these precious souls. We need to provide a space where new Christians can continue to slowly grasp the truths of Scripture, where almost-Christians can continue to hear the gospel, and where “interested but nowhere near” people can ask questions and keep learning in a loving, comfortable environment. 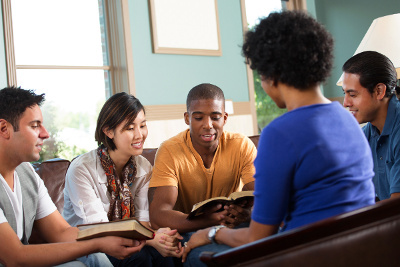 The most effective mode of follow-up I’ve witnessed is the after-course Bible study group. This is a group specifically tailored and designed for new and non-Christians. This group will meet at the same location as the course itself the next week, at the same time—but utilizing a different format. It is helpful to introduce the follow-up Bible study leaders at the end of the course; even better is if these leaders have been course hosts, so people have got to know them. If someone circles ‘yes’, you should get in touch with them as soon as possible to encourage them with how delighted you are, and also to pass on all the relevant administrative information. There are several options for what content should be used in these groups. In my experience, many people are converted in these groups, as opposed to the course, and it takes people much longer than we think to get used to reading the Bible, so the courses should be relentlessly evangelistic and deliberately slow. Term 1: The Gospel of Mark (Swedish Method) – Stepping slowly through key passages in the entire gospel. 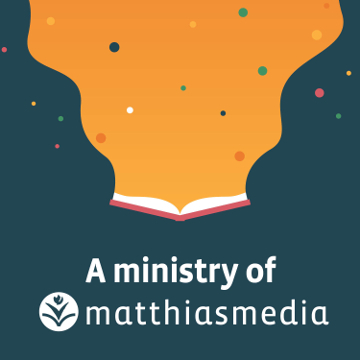 Term 2: Just for Starters (Matthias Media) – a helpful pre-written study going through some of the basics of what it looks like to live as a Christian. Term 3: The Gospel of John (Swedish Method or pre-written Bible study) – Revisiting the gospel story from John’s unique perspective unveils fresh truths to the course members. Term 4: Philippians (Swedish Method or pre-written Bible study) – A helpful introduction to the Epistles that is short but packed with timeless truths. I enjoy the Swedish Method as it allows a helpful freedom for discussion and questions, and not only teaches members the Bible but also how to read it for themselves. It might turn out that several of the members are ready to ‘graduate’ to other study groups earlier than 12 months, and have a desire to do so due to friendships or other reasons. If they’re ready, farewell them with joy. If not, encourage them to stay committed for the year. It might also turn out that interested people join your church in between your evangelistic courses; they can join these groups without major disruption. One of the best aspects of Christianity is Christian community, and this is often displayed in the small group context. Bring supper, put on tea and coffee, make the room as comfortable as possible. Begin your time together like you would any other small group: with relaxed conversation before the commencement of your official time together. The leaders of these groups must be some of your most committed people: they are acting both as traditional Bible study leaders and as evangelists within the group. They will require continuous training, support and feedback. This may result in tension with those who want such competent people for their own ministries! However, due to the extremely high level of leadership and drive required, you should be prepared to fight for the very best small group leaders in your church. If possible, recruit one or two potential leaders to be observers in the current group for a term so they can see how it runs. The tone the leaders take with the people in the course is crucial. It’s very important to not be over judgemental when it comes to issues such as personal morality. Non- or new Christians will probably come to the group with current and ongoing sin. If they are living with their boyfriend or girlfriend, for example, don’t be quick to rebuke them. If they walk into Bible study declaring that they are taking a couple of sickies from work this week, or that they are planning to get drunk this weekend, just go gently. It’s very important that we treat these issues with gentleness and with patience. The people in the group need to feel accepted as they are while their transformation by the Holy Spirit is happening. Work with them through the Bible so they can recognize the areas in their life that might need changing. Of course, it’s crucial that people are also convinced from Scripture that living this way is sinful, and is not God’s desire for his people. It may be helpful to have weeks that focus on issues that are mentioned: sexual morality, alcohol, honesty and integrity. Take time to explain from Scripture what God’s desires are, and what our responses should be. It is not a matter of accepting sin—but letting the Spirit convict them from God’s word. In addition, the leaders should be patient and gracious with the various viewpoints and opinions expressed on spiritual matters as discussions unfold. Try to avoid shutting people down, and telling them “no, that’s wrong”, as this may mean they never open up again. Listen to them. It is important to know what their views are and where they are coming from so we can speak directly to that issue with the truth of the gospel. Again, show them through Scripture that their ideas are incorrect. Let God speak through his word, not you! Depending on the number of evangelistic courses you run throughout the year, you can have one new Bible study per course, or perhaps one continuous Bible study that starts fresh material every term so people can easily join. Ideally, you should plan to have two to four of these amazing groups running simultaneously throughout the year. It is a privilege to have non-Christians show interest in Jesus—it is crucial we proactively plan and prepare for how best to see them move from death to life, for the glory of God. 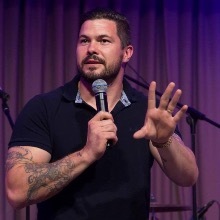 Dave Jensen is the Assistant Minister for evangelism at All Saints' Church, Belfast, Northern Ireland. He was previously the Mission Pastor at MBM St Albans Anglican, Rooty Hill. He is married to Sam and has five kids.